Pre-heat oven to 350 degrees. Slice the bread. Core and slice the apples. Slice the cheese. Dot the bread with butter and add a sprinkle of brown sugar. 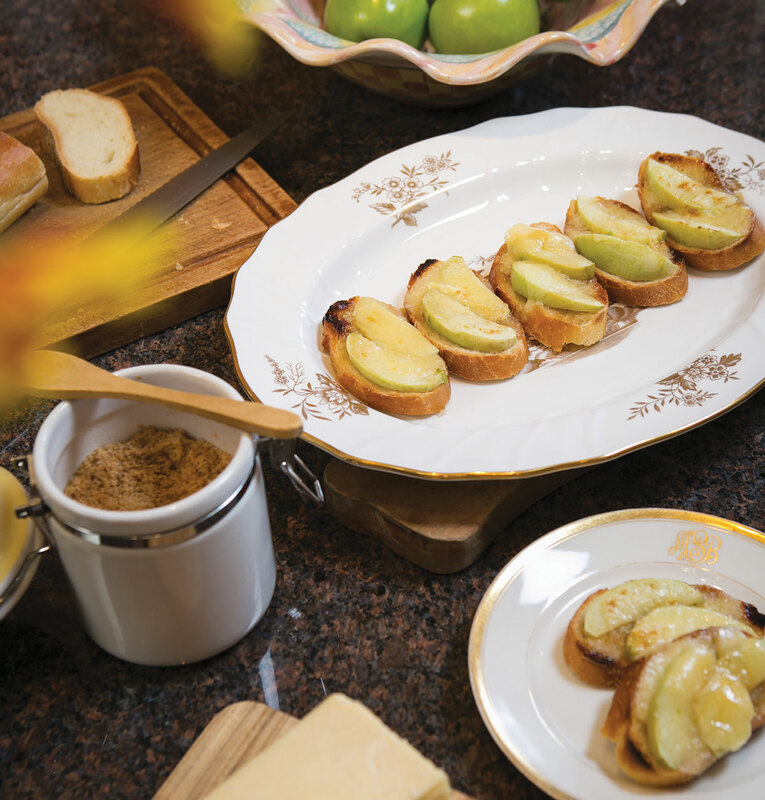 Top each bread slice with a piece of the apple and a piece of the cheese. Top with a dot of butter and a sprinkle of brown sugar. Place the crostini on a baking sheet. Bake in the oven until the butter and cheese melt.